WELLINGTON | Perry Hood Properties, Inc. This Perry Hood Properties, Inc. 2 story floor plan has 4 bedrooms, 3.5 baths and a 2 car garage with approximately 3200 sq. ft. 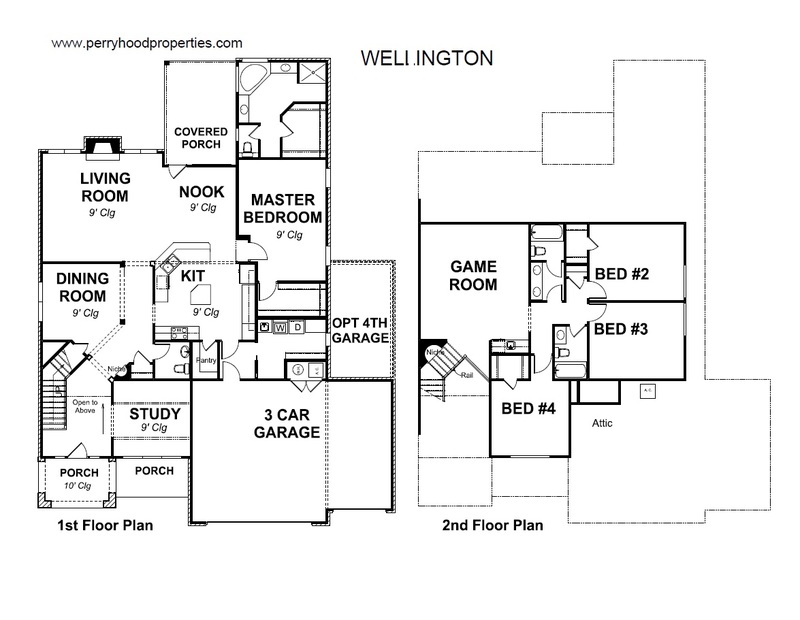 The Wellington features a spacious utility room/mud room with sink and extra space for freezer or extra refrigerator. Enjoy a formal dining plus nook with access to covered patio. The kitchen has an island and separate eating bar, granite, built-in stainless steel appliances and lighted walk-in pantry. Private study. The master bedroom has two large walk-in closets. 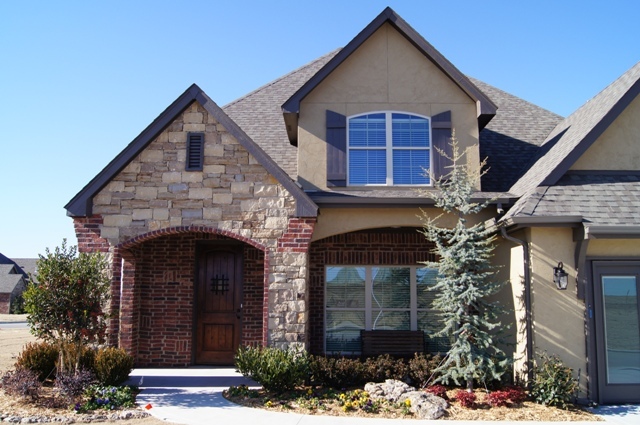 There is a large game room with optional wet bar, three bedrooms and two full baths upstairs. This is a great home for entertaining!